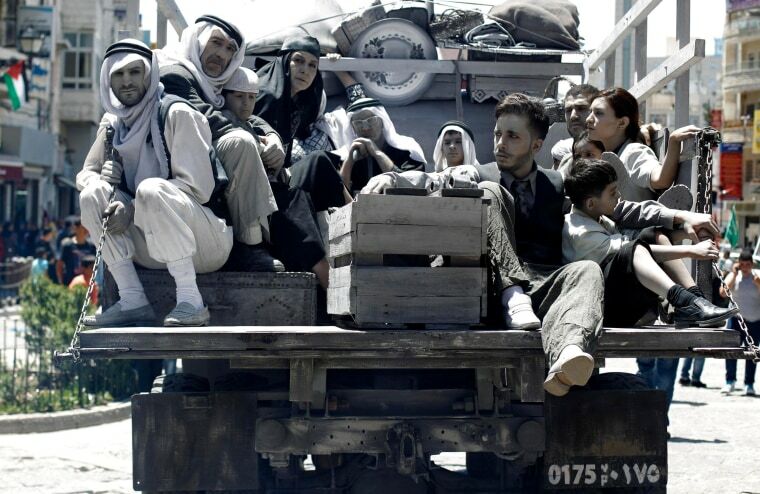 A group of Palestinians clambered aboard an aging truck in Ramallah Thursday in a symbolic reenactment of the 1948 "Nakba," or "catastrophe" in Arabic — when around 700,000 of their forebears fled or were expelled from their towns and villages during the war of Israel's foundation. Nearby, Israeli forces shot dead two Palestinians during a stone-throwing protest to mark the Nakba's 66th anniversary. Hospital officials said Muhammad Abu Thahr, 22, and Nadim Nuwara, 17, were both shot in the heart outside Israel's Ofer Prison in the occupied West Bank.